Click the Instance heading, then click on Add Instance. Enter a name for your instance. This can be almost anything, as any alpha numeric string is valid. 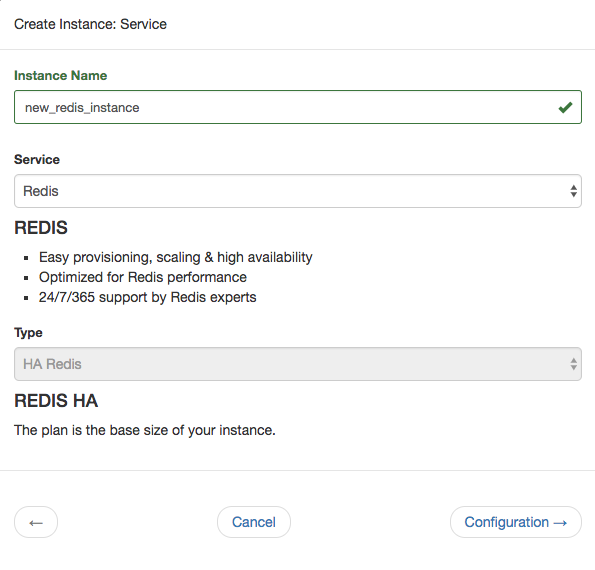 Select Redis for the service. The type defaults to HA Redis. Select a version to deploy. ObjectRocket offers Redis versions 2.8 and 3.0. 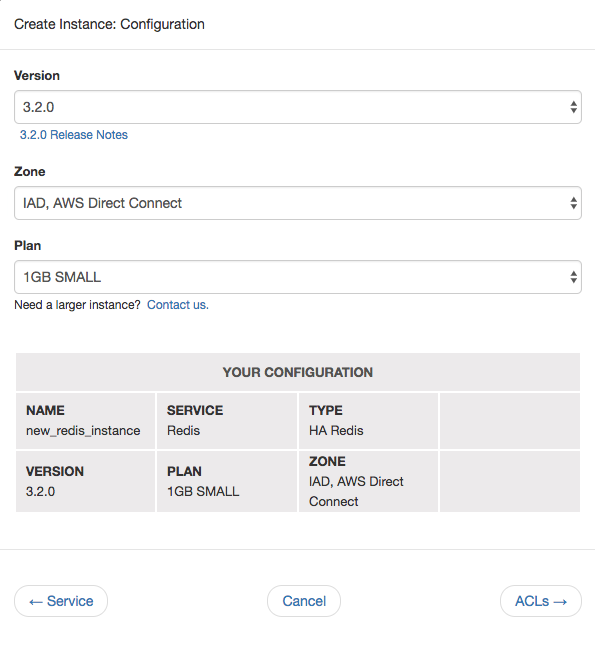 Zones are Rackspace and/or AWS Direct Connect zones, labeled by airport codes in that region. For more information about ObjectRocket’s datacenters, check out the FAQ or our zone map. Select a plan that suits your needs. For more details, check out plans and pricing. Click on Confirm to review your entries, then click Create. Your new instance is ready! 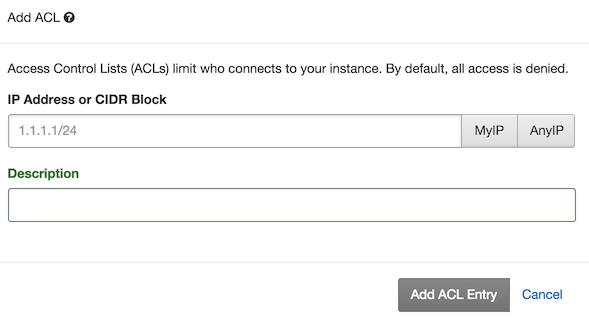 Access Control Lists (ACL) limit who connects to your instance. ObjectRocket denies access by default so you need to add any appropriate ACL’s for servers that are connecting to ObjectRocket. In the Security section of the instance details page, click Add ACL. Enter an IP address/CIDR block and a description. Only the IP address is mandatory, but descriptions can help when maintaining larger lists. If you see similar results, you’re connected to the instance and can perform database operations. Success! If you have any issues or just need guidance, contact our support team.